I just wanted to share these lovely rings with you guys. The street ring is the new concept of Maleen Neel. The idea is pure perfection; Straight from the start it’s a child’ game of pick and mix. 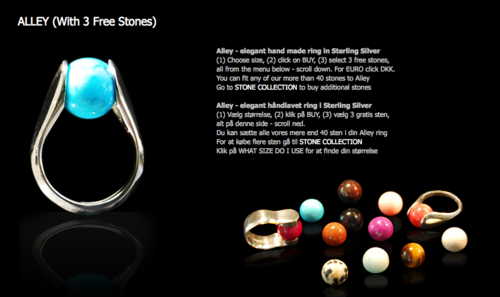 First you chose between the Alley and the Boulevard ring, you then simply chose your size, then you chose three stones among the 47 stones available you would like to receive FOR FREE, and voila. The price is very reasonable too, 132,66 euros to be exact.